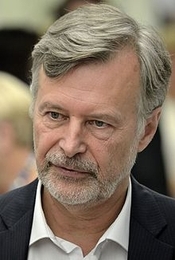 Marek Balicki – psychiatrist, director of the Mental Health Centre in Warsaw, Wola. 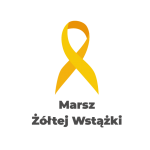 Assistant in the 2nd Department of Psychiatry, Medical University of Warsaw. Member of the National Development Council to the President, a member of the Bioethics Committee of the Polish Academy of Science (PAN), president of the „Stowarzyszenie Oddziałów Psychiatrycznych Szpitali Ogólnych” (Association of General Hospitals’ Psychiatry Departments), and president of the board of the Foundation „Poska Liga Walki z Rakiem” (Polish League Against Cancer). Long-time president of „Warszawskie Towarzystwo Pomocy i Opieki nad Psychicznie i Nerwowo Chorymi” (Warsaw Aid and Care Society for Psychiatric and Nerve Diseases). Two-term Minister of Health (2003 and 2004-2005), former advisor to the President (1998-2001), long-time parliamentarian. 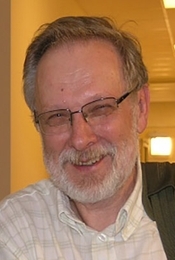 Andrzej Cechnicki – psychiatrist and psychotherapist, psychotherapy supervisor in PTP (Polish Psychiatric Association), director of the Community Psychiatric Institute, Faculty of Psychiatry, CMUJ, Cracow). Coordinator of the Programme Against Stigma and Exclusion of Mentally Ill in cooperation with WHO. Creator of the Cracow treatment and rehabilitation system for people with schizophrenia, the programme „Kraków Dobrą Wspólnotą” (Kind Community Cracow), hotels „U Pana Cogito” (At Mr Cogito’s) that employ people with history of mental health problems. Coordinator of the programme „Żyć, mieszkać, leczyć się i pracować w lokalnej wspólnocie” (Live, heal, work in local community) uniting the Jagiellonian University, University Hospital, NGOs, patients, families, and professionals. Co-creator and long-time President of the Community Psychiatry and Rehabilitation Division of the PTP. Vice-president of the Ministry of Health Committee for the Reform and Implementation of the National Mental Health Protection Programme. Author of over a hundred publications on schizophrenia, rehabilitation and community psychiatry. 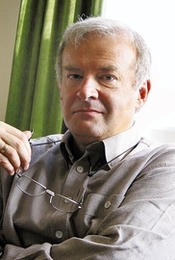 Jacek Wciórka – professor of psychiatry. Director of 1st Department of Psychiatry and vice-president of the Board of the Insitute of Psychiatry and Neurology. Co-author of the National Mental Health Protection Programme. Vice-president of the Mental Health Board to the Minister of Health. Health Minister’s advisor on community psychiatry within the National Mental Health Protection Programme. President of the Committee for Psychiatric Care Reform and the National Mental Health Protection Programme to the General Board of the Polish Psychiatric Association. Editor of the quarterly „Developments in Psychiatry and Neurology”. Author of numerous publications on clinical psychiatry, community psychiatry, and humanist and social aspects of psychiatry.